The blend of simple lines and intricate posts combine to create the Blake Poster Bed, with seamless beauty that will add its boldness and grandeur to any bedroom. This bed is available in twin, full, queen, and king sizes. 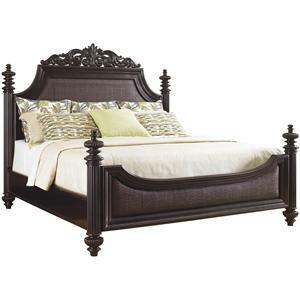 The Iron Beds Twin Blake Iron Poster Bed by Wesley Allen at Baer's Furniture in the Ft. Lauderdale, Ft. Myers, Orlando, Naples, Miami, Florida area. Product availability may vary. Contact us for the most current availability on this product. Finish The most durable finish available on any bed. Expert colorists electrostatically apply powder paint to the bed, which is then baked in specialty ovens at extremely high temperatures to produce a finish of superior durability and richness. Finish & Paint Options Every bed is available in any one of over 45 exclusive finishes. The individual character of your bed comes to life flawlessly as the finish you’ve selected is hand-applied, layer upon layer, by our gifted artisans. 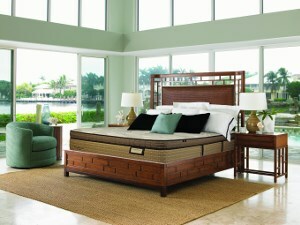 Upholstered beds are available in 20 fabric and bonded leather optoins. Case Detail Each decorative casting is hand-poured directly over the welded iron to create an exceptionally solid one-piece bed. Bed Construction This is the strongest bed frame in the industry. Every Millennium frame is constructed of premium high gauge steel. It is designed and manufactured to ensure durability and strength. The five v bars provide the ultimate in mattress support. Warranty Limited Lifetime Warranty- We build beds of the highest quality and stand behind our work. 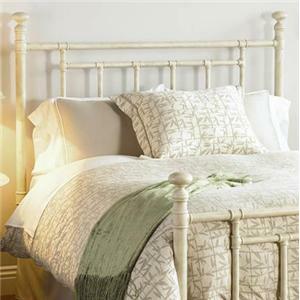 You can rest assured knowing that your bed is guaranteed to remain beautiful for years to come. consistently produced some of the most inspired and sophisticated designs the world has known. Drawing our inspiration from classic architecture and fine art, we create modern day masterpieces of stunning quality and detail. One look, one touch, and you'll understand why Wesley Allen has secured its place as one of the world's finest bed manufacturers. Skilled artisans handcraft every bed with a passion for beauty and quality. Exquisitely detailed castings, hand-poured and finished, highlight a bed of unmatched style, strength and sophistication. An undeniable statement of romance, every bed is designed to last a lifetime and leave you breathless with your choice of 45 exclusive finishes. Regardless where your particular tastes fall, there's a Wesley Allen bed that's guaranteed to move you. From classic Victorian design to fresh, urban styling, our current collection reflects a passionate and diverse line of new and classic Wesley Allen originals. Warm and inviting. Stylish yet understated. These fluid designs of extraordinary strength and beauty are guaranteed to accentuate any bedroom environment. Featuring the strongest bed frames in the industry. Every Millennium frame is constructed of premium high gauge steel. It is designed and manufactured to ensure durability and strength. The five v bars provide the ultimate in mattress support. 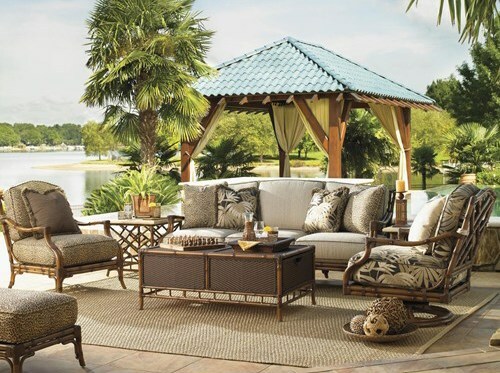 The Iron Beds collection is a great option if you are looking for Traditional furniture in the Ft. Lauderdale, Ft. Myers, Orlando, Naples, Miami, Florida area. 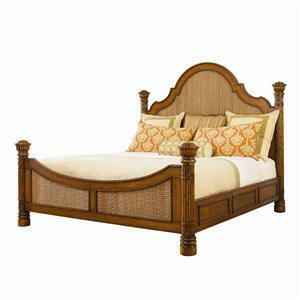 Browse other items in the Iron Beds collection from Baer's Furniture in the Ft. Lauderdale, Ft. Myers, Orlando, Naples, Miami, Florida area.